I was excited when I brought this mascara as I read many good reviews about it, however, this excitement was quick to vanish. I've been using this mascara for three weeks now and the product really disappoints me more and more as the time passes. To be more exact, when it was my first week using it I really liked this mascara. It gave an amazing effect; well separated, without clumps eyelashes, formulation quite long lasting and non-irritating. Unfortunately, as the time passed (at it wasn't even that much) it got worse and as a result, I'm in my third week of using this mascara and I really dislike it. 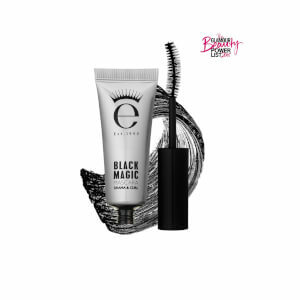 The formula feels like it has dried up, it really gives me clumpy eyelashes (I use eyelash curlers), little pieces of it are just all over my face and it transfers to my browbone so not so waterproof anymore. I know that waterproof mascaras tend to be drier compared to regular ones, but it really became not applicable. I'm glad I waited a few weeks before submitting a review because I really did not expect this product to last so little, considering it says you should use it within six months, but for me, it really lasted two weeks. The mascara stays on all day and comes off easily with micellar cleansing water. The brush is why I don't rate it a five. The unusual shape makes it difficult to get all my lashes. I love the Eyeko mascara formula!! It stays on all day no matter active I get. The only reason I gave 4 stars is the rounded barrel on the brush is a bit bigger than I need. I use the smaller tip of the brush to get all my lashes covered. I’ll definitely be using Eyeko again! 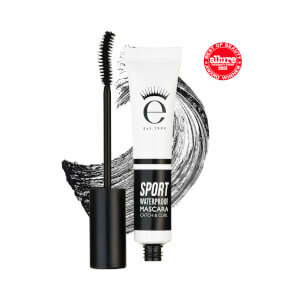 As someone with medium-length, flat lashes, this mascara was the first I'd used that not only kept my difficult lashes curled all day, but had no residual flaking whatsoever. However, waterproof is an understatement. I felt as if I could never fully remove this mascara. Between soap and various makeup removers, it proved...difficult. I found that while it looked impossibly good, I was irritating the skin surrounding my eyes trying to remove the product. Sadly, I had to stop using it. Perhaps you will have better luck! 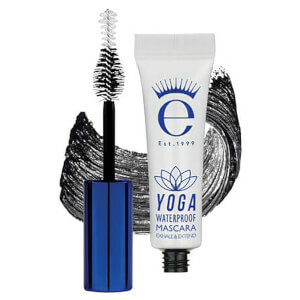 I find the Sport waterproof mascara to be pretty good - and this yoga mascara has a weirdly shaped brush that I don't care for at all. I wish it came in brown, too. I love this formula of this but I don't care for the brush. Either way I still use it and love that it stays and holds a curl. I love this mascara....it took a little time to get used to the brush design. But once you get used to using the brush, you can get nice curl and lift to the lashes!! This is the best mascara I’ve ever used. Period. 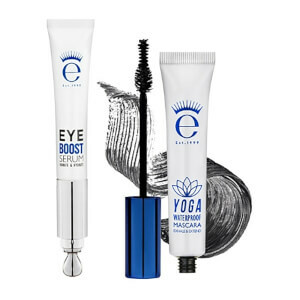 It keeps my eyelashes curled throughout the day, even on days I take several hot yoga classes. And as an added bonus, this product is vegan! I couldn’t have asked for a more perfect mascara. This mascara the most amazing mascara known to man. Stays on throughout the day, I have a habit of buying expensive mascara that doesn't stay put, this does, looks amazing and not over the top. Buy it, you wont regret it. I have sensitive skin and eyes, it is gentle and highly effective. Don't miss out. I've long been a fan of the Sport Mascara so I was eager to try this one. I'm not a huge fan of the brush. But the mascara itself is great. Makes my lashes look dark and longer, but still natural. And best yet, no smearing under my eyes during the day. This is a keeper!